Target audience: Nonprofits, cause organizations, foundations, NGOs, social enterprises, marketing professionals. Want to know the biggest mistake nonprofits make on Facebook? It’s thinking that Facebook is about them, not their community. Or so I’ve gathered from working with hundreds of nonprofits. Whether it’s on Twitter, in the newspaper or on Facebook, your nonprofit’s voice should always come second to the voice of your supporters or the voice of the cause. This is particularly the case with Facebook, where friends come first 100 percent of the time. A little thought experiment will help prove my point. 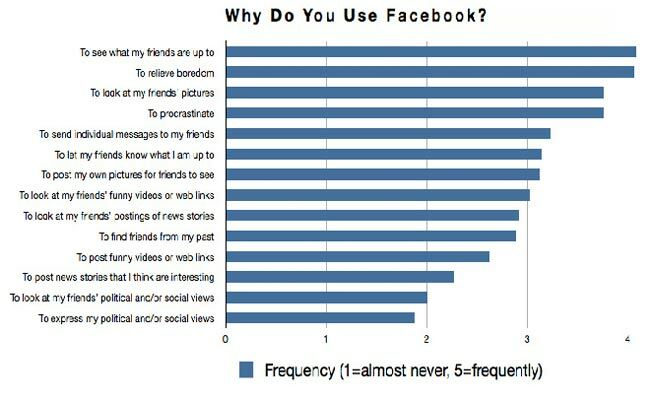 What’s your priority on Facebook? Make a purchase or a donation? Find out the latest news from a brand? If you’re like most people, you’ve never done No. 1 or No. 2, and you always do No. 3. So Facebook is about friends connecting with friends, as shown above in this graph from the Atlantic. For nonprofits, Facebook is all about connecting with friends — the difference is that those friendships are in your donor database. The point here is that your real mission (if you wish to accept it) is to get your supporters talking about the cause, instead of you talking about your nonprofit. So the next time you make a Facebook post or launch a Facebook campaign, think about how you can make it about your community rather than about you.John Haydon delivers social web strategy solutions for “the quick, the smart, and the slightly manic.” Curious? Then connect up: Contact John by email, see his profile page, visit the John Haydon blog, follow him on Twitter and Google Plus or leave a comment.